C) you like to over pay for things! 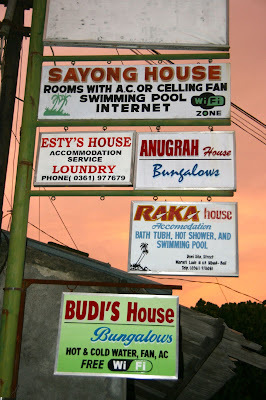 Bali has so many budget homestay and guesthouses your head might explode from all the choices. We booked our first night in Bali ahead of time since we would be arriving at midnight on New Years Eve. We really got ripped off. But we had 3 toddlers in tow so we needed a guaranteed place to stay. Turns out our room wasn't guaranteed at all. But that's another post. Bali is filled with so many choices all one needs to do is walk or drive around. Ubud, for example, you can start out on the northwest corner of the soccer (aka football) field (Monkey road & Jalan Dewi Sita) and walk either east or west. If you walk west you have several homestays with pools that will run you around $20USD that includes breakfast. 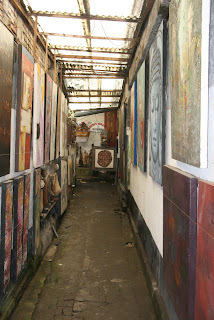 We stayed at Gayatri II the first night we arrived in Ubud. Our neighbors who booked online payed $60 per night. We just showed up and negotiated a rate of $20 per night which included breakfast. The place was decent but certainly not worth $60 a night, not sure it was even worth $20. We moved to Pering Bungalows and negotiated a rate of $20 a night including breakfast. Nice place but we found out our neighbor was paying $17. There were several other homestays that quoted $15 however they did not have a pool. 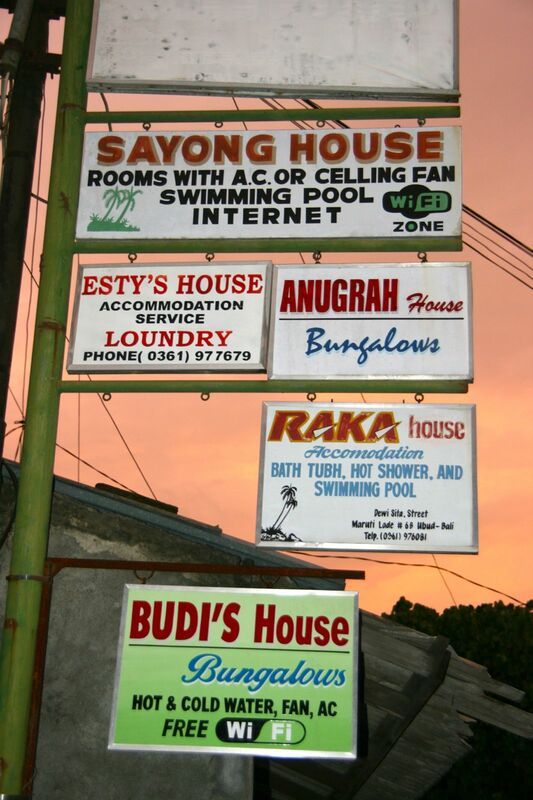 If you head east on Jalan Dewi Sita you will find an endless number of guesthouse and homestays for around the same price. With or without air con, pool or no pool but most all included wifi and breakfast. The lowest we found was $10USD a night with pool next to the soccer field. Think we will try that one next time we are in Ubud. We found this to be the same through out Bali. Just arrive in some town, have your family wait at some restaurant and one person spend 20 minutes walking around checking out the different places to stay. Whatever price they say, cringe like you just were punched in the gut. Always start super low and don't be afraid to walk away. Check the comfort of the beds, water pressure in the bathroom and remember to ask if they have wifi. And know for sure if you do book ahead and you haven't previously been there then you are most likely overpaying! This is something I DEFINITELY did not know about Bali! Thanks for this post!! !